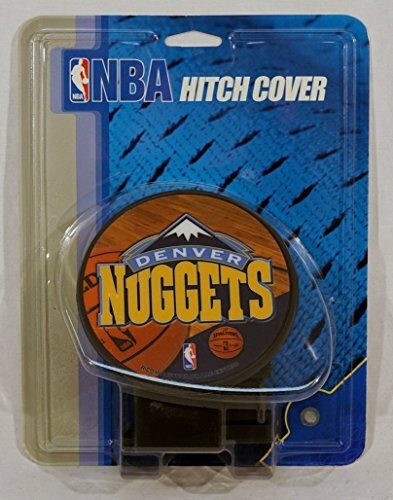 Add team flair to your vehicle with Rico's officially licensed Economy Hitch Cover. This one-piece hitch cover is made in the USA. Unique Circular shape has beautiful four color process team graphics. View More In Trailer Hitch Covers. If you have any questions about this product by Rico Industries, contact us by completing and submitting the form below. If you are looking for a specif part number, please include it with your message. NBA-Miami Heat hitch cover 4 1/2"x3 3/8"
Fanmats 15143 NHL Boston Bruins Chrome Hitch Cover, 3.4"x4"
CC Sports Decor NBA - Detroit Pistons Light Up Hitch Cover - 21"x9.5"
CC Sports Decor NBA - Miami Heat Light Up Hitch Cover - 21"x9.5"